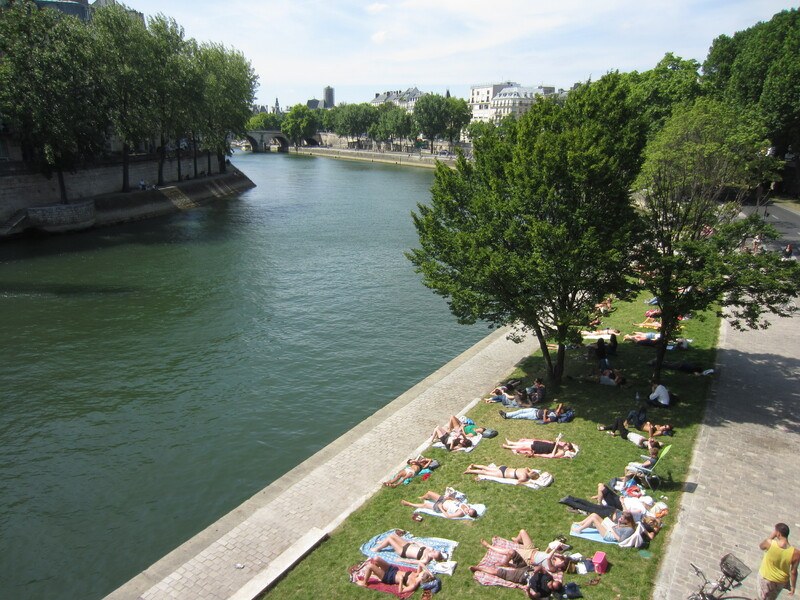 Paris gets very hot in the summer, and many people gather along the riverbanks to sunbake before Paris Plages even sets up. Then in July, the sand comes. 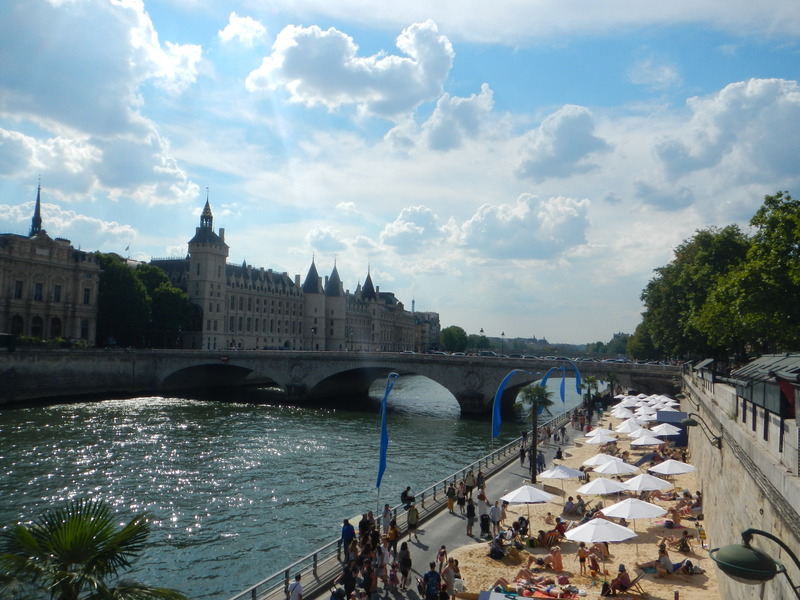 Paris Plages arrives by river barge from sand quarries upriver, and are dumped into big wooden sandpits erected on the promenades. And bingo! – you’ve got an urban beach. 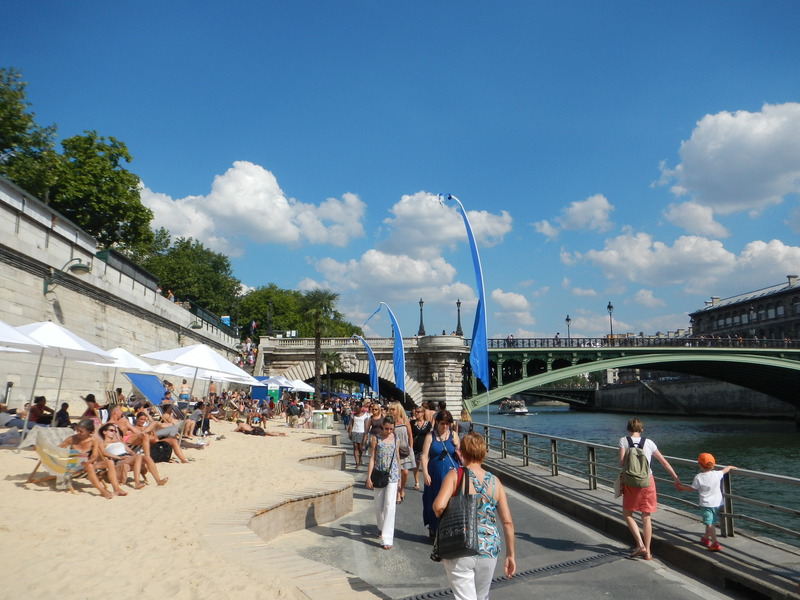 The location is great; in many places the riverbanks are long, paved promenades for pedestrians, with the city and the traffic separated on the upper level. Beach umbrellas and stripy beach chairs sprout out from the sand, and even palm trees appear alongside the sunbakers. 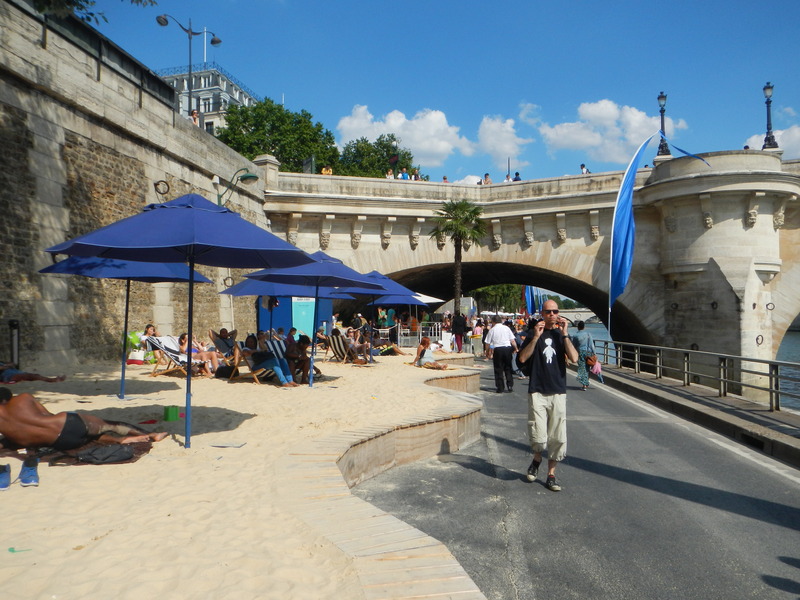 Most Parisians lie on the sand in the sunshine, aiming to become browner than they were that morning. 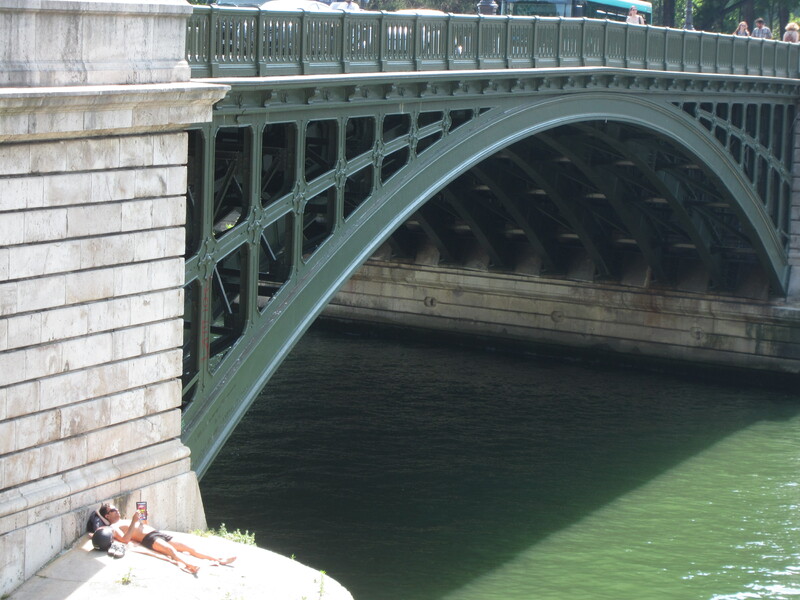 Swimming is prohibited, for several good reasons – the Seine has been known to contain raw sewage, dangerous heavy metal levels, and even corpses (in 2007 alone, 55 bodies were fished from the water). 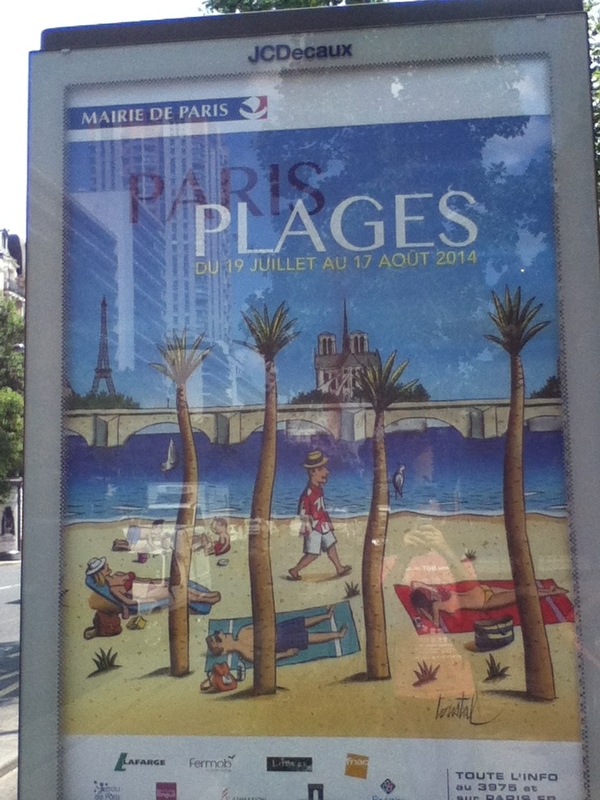 Paris Plages is set up more of an activity centre than a beach, with many things to see and do. The 3km section from the Louvre to Pont de Sully is crammed with stuff. For those who love slow-motion martial arts whilst looking at great architecture, there’s a tai chi platform for groups, there’s the danse de salon (a dancing class on the beach), a row of tables of table football (or foosball, or as the French say, baby foot), smoothies bars and alcohol bars, a small temporary library, a little patch of sand for the older generations to play petanque, a scientific workshop, water mist atomisers (towers spraying a fine cool mist of water into the air), zumba classes, and sandcastle building pits for the kids. 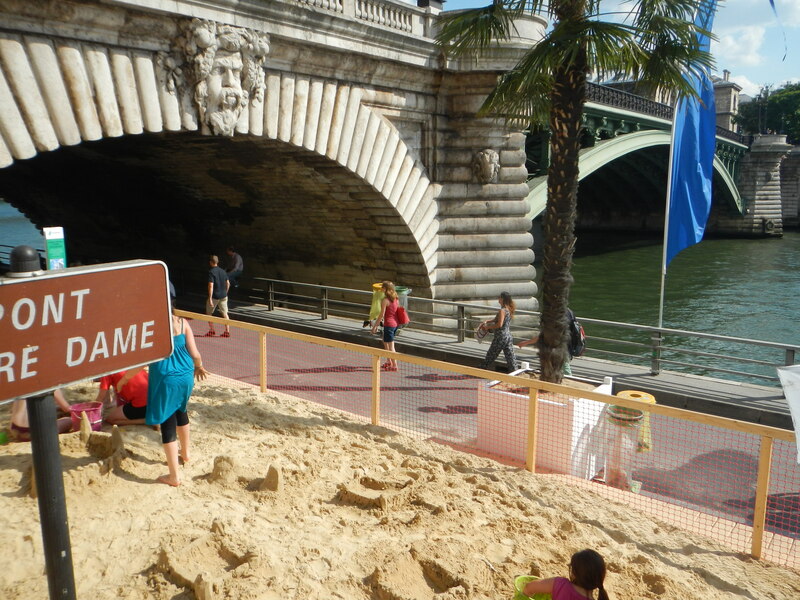 If you’ve ever wanted to launch a shuttlecock at the mayor of Paris, in front of the Hôtel de Ville, more sand had been dumped to create a badminton area. As many events do, things get bigger and better ever year. 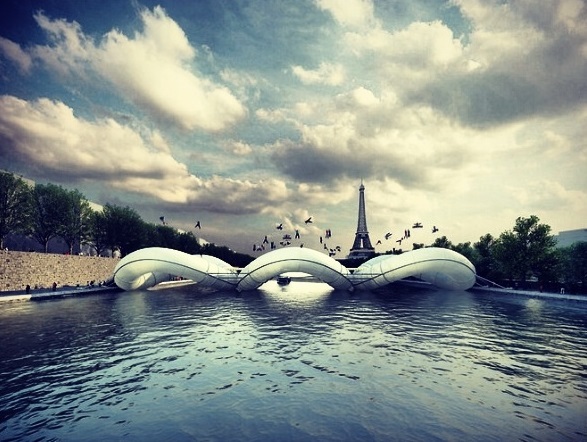 Get excited about the future of Paris Plages too… a Google search shows these EPIC trampolines stradding the river. These aren’t real – just a concept by graphic artists – but they like the most insane fun in the universe. 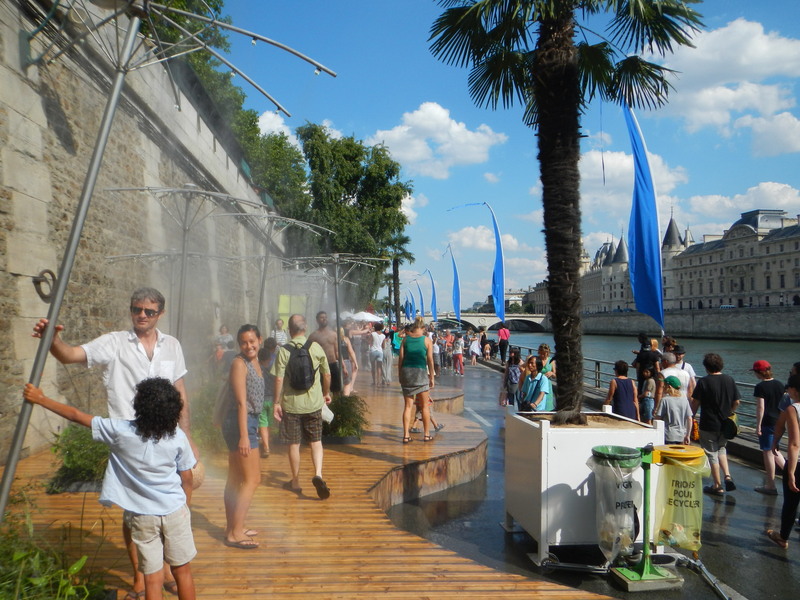 Check it out next time – even if you don’t take a towel, it’s a pretty cool spectacle to wander past! Oh I dont know about the concerts but yeah that would be an awesome idea!